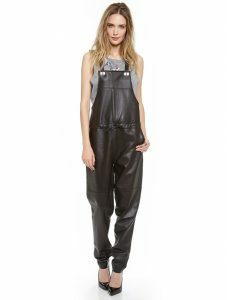 Leather overalls are edgy outfits of women for parties and outings. Both black and white are good, complementing all figures equally. 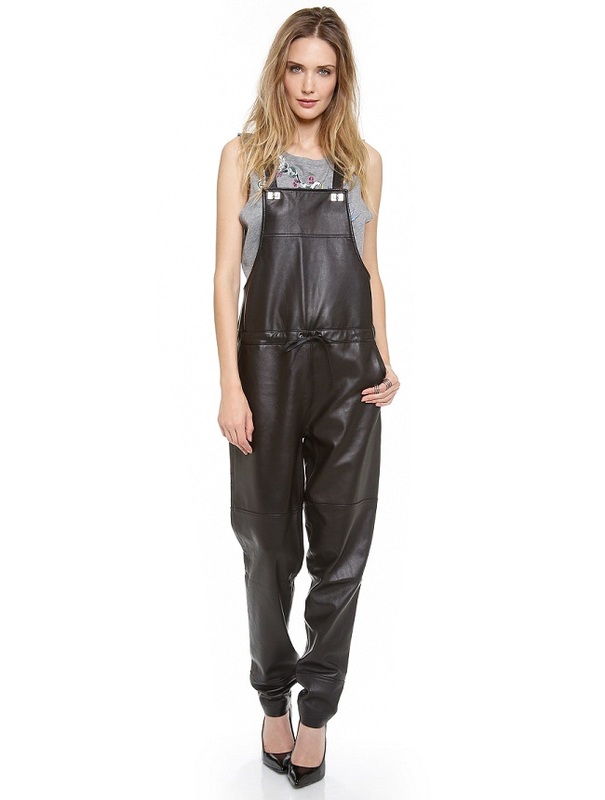 Here are a few handpicked designs of leather overalls that you will find enticing. 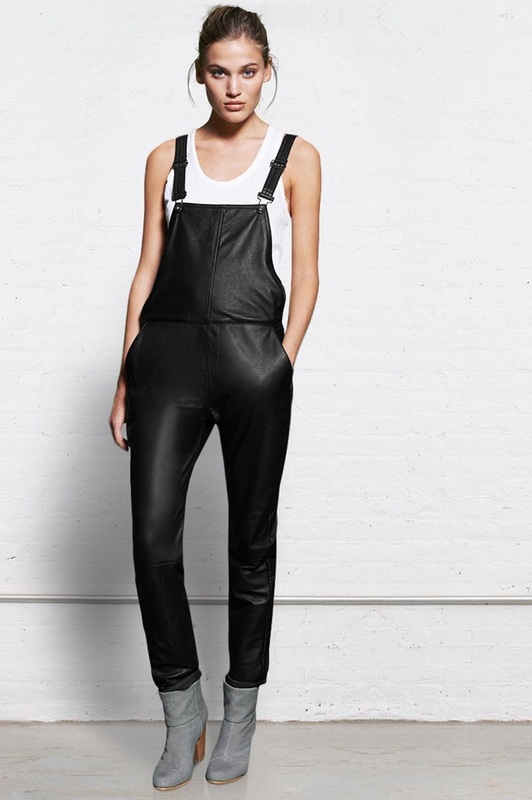 A black leather overall teamed up with white tops imparts elegance and style. Wear ankle boots with this dress. 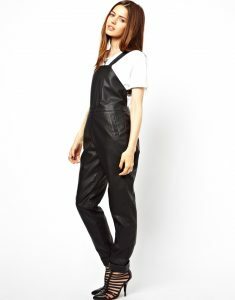 If you are willing to wear a short pair of overalls then this following one could be your choice. 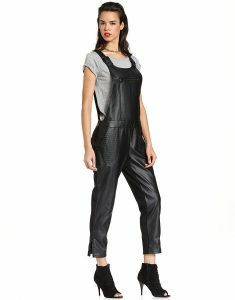 For summer, when everyone is wearing short dresses or frilled maxi skirts, you can follow the trend of wearing short overalls. Even in winter, a turtleneck top and a black leather overall can be an amazing combination for glaming up yourself. Wear dark lipsticks and keep your eye makeup simple. 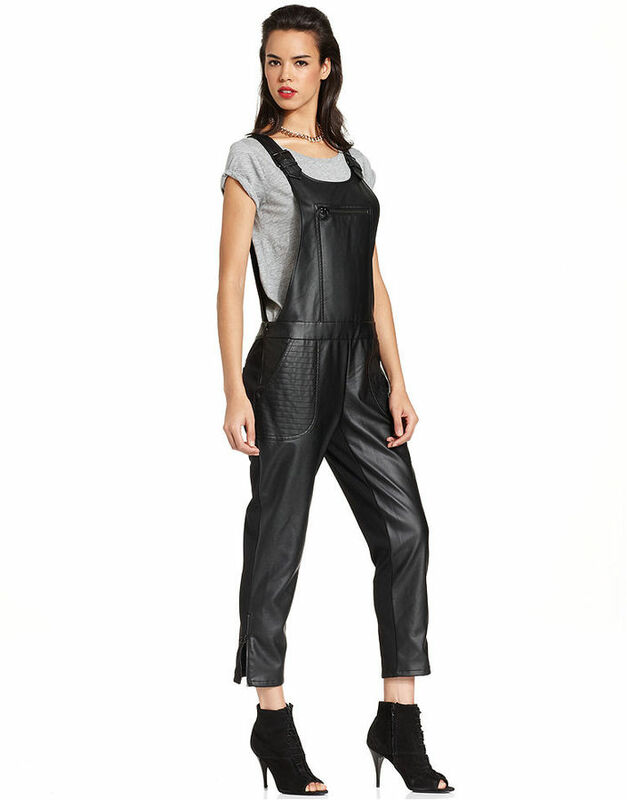 To be the talk of the town, wear a black leather overall along with a crop top. With a side parting, let your hair be on one shoulder. White is an elegant shade that every woman loves to wear at a certain point of time. White overalls are such outfits that you always can rely on.